The phone rings — there’s been a breach. Ciena’s chief security architect Jim Carnes explains how to integrate security into each aspect of your business to mitigate this stressor – and stop fearing that call. By Jim Carnes – It’s Friday afternoon (it always happens on Friday afternoon) and the phone rings — there’s a breach. Your internet provider has called and malware associated with the latest botnet has been detected coming from your corporate network. The incident response plans are triggered and everyone goes into high alert, looking for the source. The common thought trajectory goes something like: How could this happen? We use the latest and greatest security products. Did someone open a phishing email? Did a hacker breach our firewall or was a vendor compromised? There goes my weekend. How can we stop fearing that Friday afternoon call? Integrating security into each aspect of your business could mitigate this stressor. When people, processes, inventory and technology are coordinated, the fear and uncertainty of security breaches is replaced with straightforward and seamless responses that protect your Friday evening dinner plans. The conversation should always begin with your business. You need to understand the processes, the people and the vendor and partner relationships. Understanding how the critical aspects of the company function and interact will often point to gaps in security. Whether your business is delivering software, hardware or services, the development of those solutions include security from the start. The ability to clearly articulate the purpose of the system, how it will be used, who will be using it and what value it provides will help begin the conversation. Articulating these key factors will help define the threat environment, the adversaries and the controls necessary to mitigate the attacks. By Kent Jordan – The photonic layer is the foundation for high capacity networks. 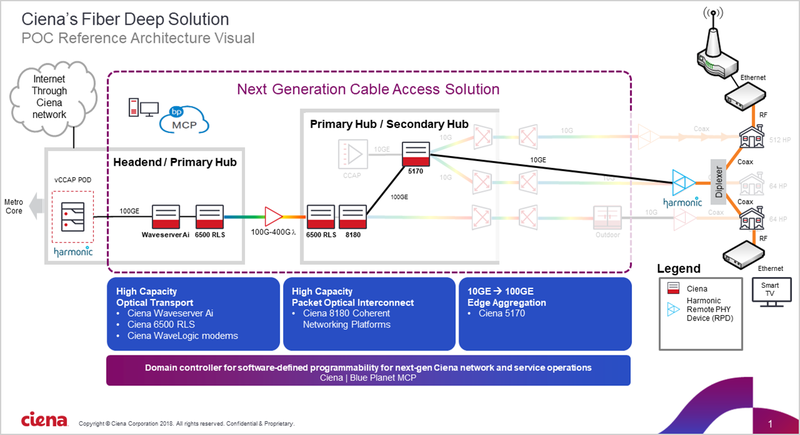 Whether the network application is to increase connectivity between data centers, deliver bandwidth-intensive content, or to move business applications into the cloud, the photonic layer provides the mechanism to efficiently light the fiber by assigning and routing wavelengths across the optical spectrum. However, today’s photonic layer systems utilize only a portion of the usable spectrum within the fiber, and operators are increasingly looking at expansion into the L-band to increase capacity. There are a few factors driving the desire for L-band. First, and foremost, is traffic demand. Networks with high bandwidth applications and sustained bandwidth growth are quickly faced with capacity exhaustion. Once existing capacity is consumed, lighting additional fiber pairs is required. If the cost of laying or leasing new fiber is too prohibitive, then alternatives to unlocking additional capacity are needed. 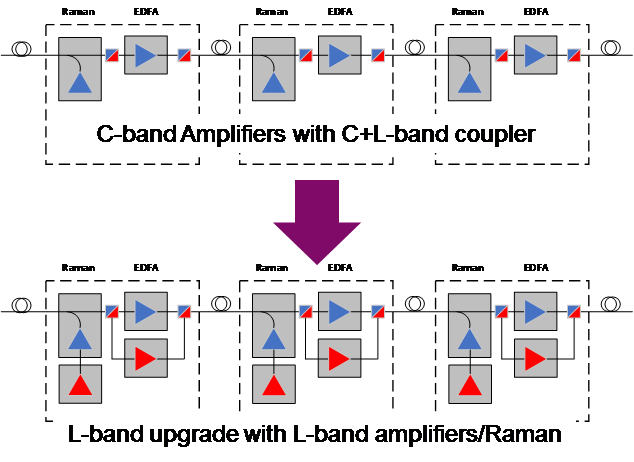 The L-band is one such solution, and it can be used to double the fiber capacity. But, for operators to consider deploying L-band solutions, they must be simple to plan and deploy, and the upgrade to L-band must not impact existing traffic in the C-band. Did the ‘bomb cyclone’ winter blizzard last week in Denver keep you from attending the annual Light Reading Cable Next-Gen (CNG) conference? If so – you are not alone. Ciena’s Darren McKinney was at #CNG2019 – and can sum it up with: 10G, DAA, CIN, DOCSIS, Coherent and 5G…a real smorgasbord of acronyms and technologies. By Darren McKinney – The Light Reading CNG 2019 event was chock full of excellent speakers – lots of very interesting presentations, panels, and fireside chats. 5G will not kill MSO broadband – 5G is an opportunity for MSOs (e.g. 5G will need 10G for mobile backhaul). There was discussion that 5G does not penetrate houses well and that Wi-Fi in the house offers better coverage. 5G as a replacement for Wi-Fi is not viewed as a big threat. Why is the US market different? Cable MSOs outside of the US are largely mobile network operators (MNOs) already – why is the US market different? Discussion that financial ARPUs for MSOs in the US are 2-3x higher than in other parts of the world, that US MSOs have not had the same motivation (yet) to invest in mobile as has been seen in other countries. In today’s increasingly complex multi-vendor network environments, many businesses are compelled to out-task their multi-vendor operations to a single provider of specialized network services. Ciena’s Atura Bavisi details the qualities needed when looking for the right multi-vendor services partner. By Atura Bavisi – Businesses today are constantly changing, often in unique and different ways due to market-specific conditions, but they all share something in common: a complex network environment. Operators are always looking for ways to optimize their network, at once reducing complexity while adding flexibility to handle the rapidly growing traffic demands. These conditions often create a need for multi-vendor networks. If a business would like to reduce its OPEX and at the same time improve network performance without significantly increasing their IT resources, then buying network equipment from multiple vendors and leveraging vendor-specific services to implement and maintain this disparate equipment become critical. However, multi-vendor projects come with their own set of challenges. For example, the multi-vendor approach often reduces visibility across the network, making it difficult to plan effectively or to provision resources to support new services rapidly. What’s more, the cost of working with multiple suppliers and in-house service teams to design and deploy solutions can be prohibitive and a logistical challenge, as well as requiring multiple custom interfaces. Large-scale data breaches are reported in the press almost daily, with devastating consequences for the organizations and individuals involved. A multi-layer security strategy minimizes cybersecurity risks for your organization and streamlines the compliance journey in the run-up to upcoming legislation. By Paulina Gomez – Technology innovation – the continued evolution of cloud computing, the rapid increase in Internet of Things (IoT) and the growth of Artificial Intelligence (AI) – is expected to drive a 100x increase in connected devices and a 1,000x increase in data traffic by 2020 (2016 Mobility Report, November 2016, Ericsson). Each new device doesn’t just drive traffic, it also dramatically expands the network attack surface – increasing the opportunity of cybercriminals to leverage sophisticated methods to exploit these opportunities. In response to the rapidly evolving cybersecurity threat landscape, regulations around the world are upping the pressure on organizations to protect their sensitive customer and operational data. The maximum fine for a data breach in the upcoming European General Data Protection Regulation (GDPR), for example, could be up to 4% of global revenues; enough to put even large organizations out of business. How can an organization minimize its security risks? It’s about more than just encryption and firewalls. 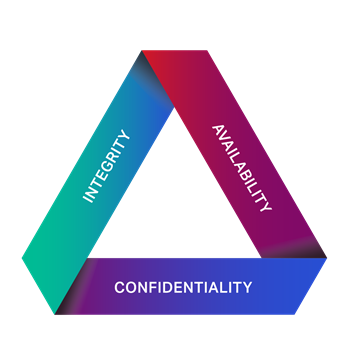 A comprehensive, multi-layer security strategy is vital to an effective defense. By Wayne Hickey – Streaming applications like Amazon Prime, Facebook, Netflix, and YouTube (… and the list goes on) are consuming Internet content at a torrid pace with the end nowhere in sight. To adjust to the high-speed pace of today’s business, enterprises use technology to change what they do and how they do it. Think about healthcare, hospitality, financial, manufacturing, and education organizations, to name a few—all are taking advantage of digital transformation to push more and more data. Additionally, in the next few years, the promise of 5G is expected to make the number of connected devices and bandwidth swell. To deliver much faster download speeds and latency of just a few milliseconds, the network edge is key. Coherent packet-optical technology is playing an increasingly critical role in solving networking business challenges: capacity, cost reduction, and competitiveness. Increasingly, network providers look to coherent packet-optical technology to solve the scalability and cost per bit challenges in their network. By Brian Lavallee – The theme of this year’s event is “Intelligent Connectivity” – the term we use to describe the powerful combination of flexible, high-speed 5G networks, the Internet of Things (IoT), artificial intelligence (AI) and big data”. This clearly highlights that important fact that 5G is more than just a wireless upgrade. It’s also about updating the entire wireline network from radios to data centers, where accessed content is hosted, and everything in between. This means the move to broad 5G-based mobile services and associated capabilities will be a multi-year journey requiring many strategic partnerships. The multi-year journey towards ubiquitous 5G services will understandably be the star at MWC, and rightfully so. 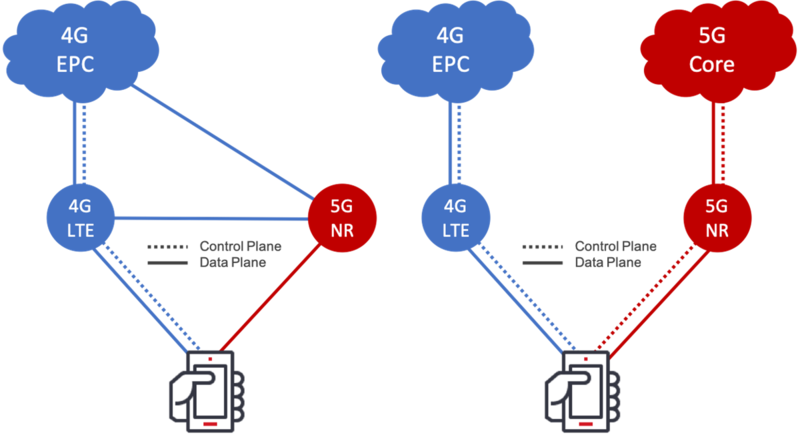 There remains uncertainty about what technologies and architecture should be used for specific parts of the end-to-end 5G mobile network, such as the often discussed (and often hotly debated) fronthaul space. Early 5G mobile services are already being turned up in many regions in the form of early deployments, field trials, and proofs of concept. These services are delivered in 5G Non-Standalone (NSA) configuration, which essentially hangs 5G New Radios (NRs) off existing 4G Evolved Packet Core (EPC) networks. This allows for testing new 5G wireless technologies and jumpstarts critical Radio Frequency planning and testing. So it’s not surprising that Ciena is once again raising the bar in coherent optical technology by providing the scale, flexibility and intelligence that solidifies our position as a leader in optical networking and your trusted partner for building the Adaptive NetworkTM. And we aren’t just coasting on our past successes. With WaveLogic 5 we are introducing two new solutions that can deliver coherent technology however our customers need it – from integrated systems to pluggable form factors – addressing the complete set of technical and economic requirements they have across a range of network applications. There is a lot to unpack in today’s announcement, so let’s start by addressing the 800-pound gorilla in the room…do network operators really need 800G?